EXTRA CLEAN ONE OWNER FUSION WITH A CLEAN CARFAX, THIS GORGEOUS CAR IS NICELY EQUIPPED WITH THE FEATURES YOU WANT, LIKE DUAL POWER HEATED LEATHER SEATS, SE LUXURY PACKAGE, POWER MOONROOF WITH BUILT IN GARAGE DOOR OPENER, TECHNOLOGY PACKAGE, SYNC 3, DUAL ZONE ELECTRONIC CLIMATE CONTROL, REAR CAMERA, PUSH BUTTON START, REMOTE ENTRY WITH REMOTE START, ALLOY WHEELS... 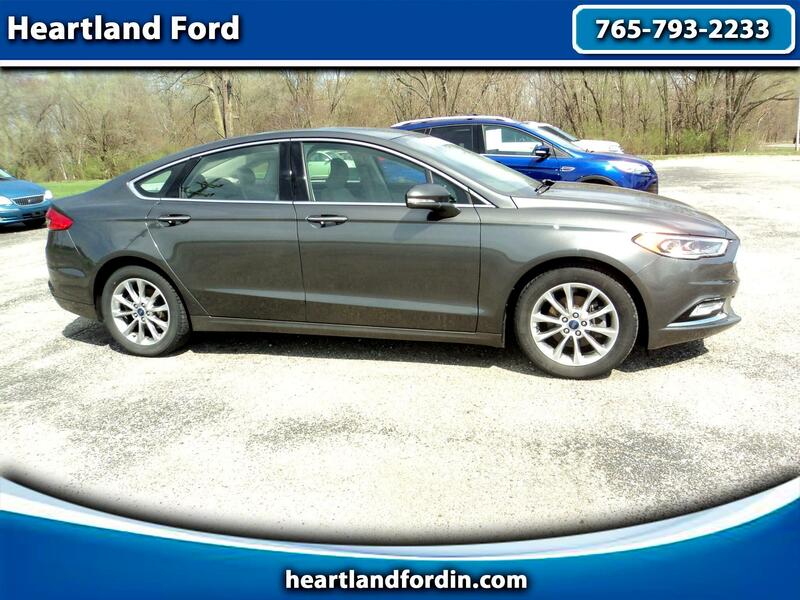 THIS FUSION ALSO FEATURES OUR EXCLUSIVE HEARTLAND FORD LIFETIME LIMITED POWERTRAIN WARRANTY FOR YOUR PEACE OF MIND. AN AMAZING CAR AT A PRICE YOU CAN AFFORD! COME SEE US TODAY FOR A TEST DRIVE!